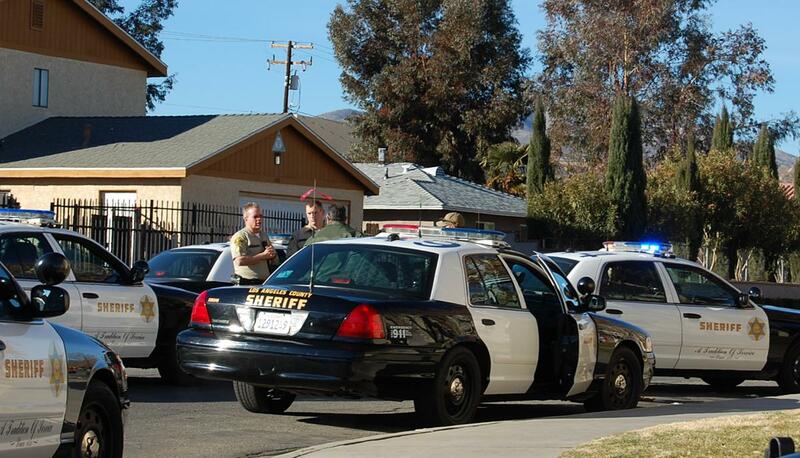 PALMDALE – Thursday morning, teams from the Antelope Valley Crime Fighting Initiatives (AVCFI) conducted searches of probationers at 18 locations throughout the city of Palmdale. Five arrests were made, including two individuals for possession of marijuana for sales, one for possession of a firearm and another for a felony warrant. A gun recovered during one search was found to be the property of 26-year- old Anthony Beshears, who is currently on probation. During Beshears’ search, deputies also found marijuana that appeared packaged and ready for transportation through a shipping company. Gregg said it was important for individuals on probation or parole to be aware that there are resources available to assist them in assimilating back into society. “All they need do is to reach out for help,” Gregg added. More than 70 arrests and 55 searches have been conducted in these operations. Thursday’s operation was planned by Palmdale Station’s Partners Against Crime (PAC) team, with assisting teams from both local sheriff stations, Community Oriented Policing Services (COPS) and the Probation Department. The operation was the sixth one conducted by the AVCFI task force since the first of the year, and more are planned. The public is encouraged to provide information regarding these or any crimes directly to the Palmdale Sheriff’s Station by calling 661-272-2400. To remain anonymous, call Crime Stoppers at 800-222-8477. 1 comment for "Five busted in citywide probation sweep"
Good job Deputies, keep up the great work!